2TOMS Brewing is this year’s featured local brewery at the 2018 Fort Wayne Brewery Collectibles Show, Saturday, Nov. 17th 8-2:00, at the Classic Café, 4832 Hillegas Rd. If you are a craft beer enthusiast, or just want a few brewery signs for the man cave, the 44th annual, Fort Wayne Brewery Collectibles Show will have something for you. In the Convention Hall you will see over 80+ dealer tables filled with rare and unique brewery advertisement pieces, from the pre-prohibition era, to the latest in craft beer collectibles. Steins, signs, glasses, T-shirts, beer cans and bottles all can be found. Old Crown Brewery, gone but not forgotten. After closing in December of 1973 the old brewery set idle. Local investor, Karl Jensen purchased the brewery buildings and land, with plans of converting the brewery into apartments, retail space and a restaurant. The renovations never took place. The brewing equipment was stripped out through openings cut through the walls, and after years of vandalism and neglect, the property was condemned. The remaining brewery buildings came down in 1991. Today a used car lot occupies the land where the Centlivre family, once built a great part of Fort Wayne's history. Here are a few photos taken in March 1976. Photo credits; Larry Stevens. Here is an early Drewrys Canadian bottle label. In the late 1880’s Drewrys was one of the largest breweries in Canada. 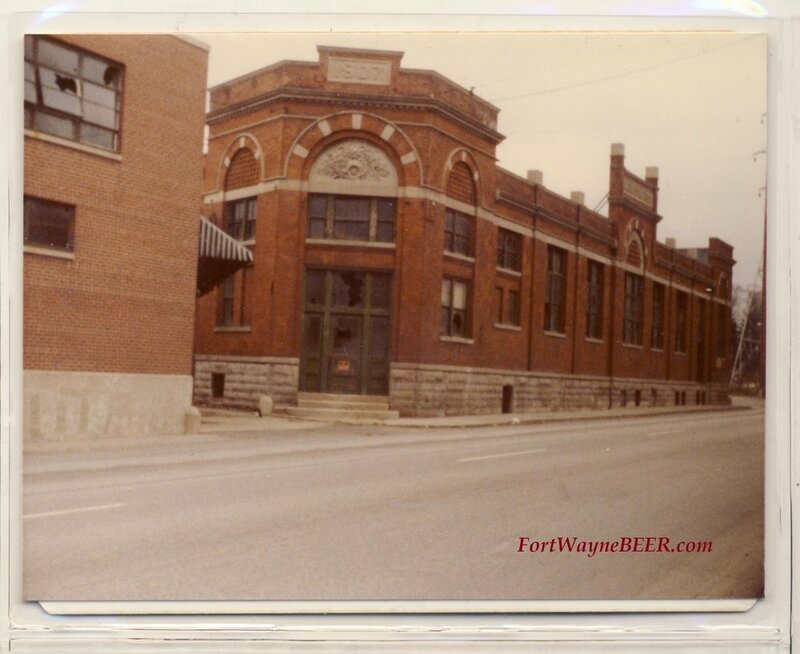 After Prohibition, they purchased the Muessel Brewery in South Bend, Indiana and quickly became a large American regional brewery, prospering until competition forced their closing in 1972. 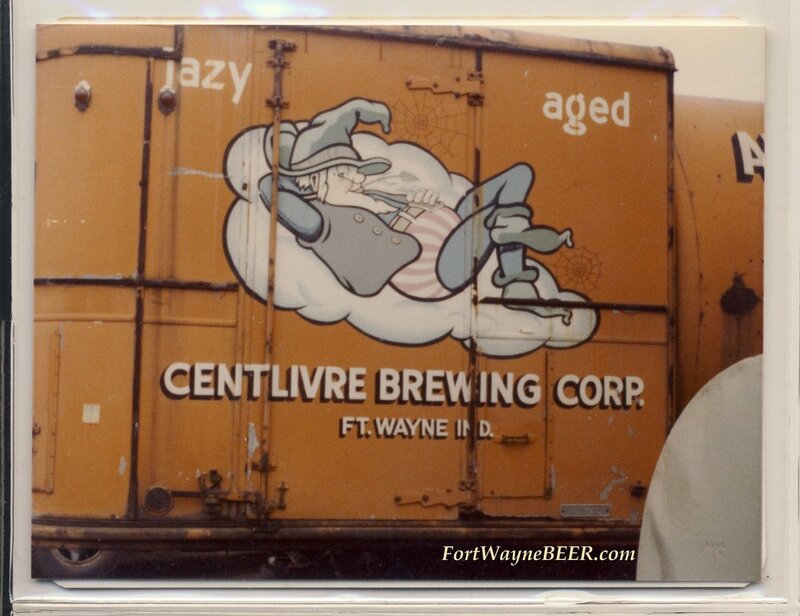 In 2014, Drewrys LTD was form to bring back this nostalgic brew to the South Bend and Chicago area. To all Three Rivers Chapter Members and guests. The monthly meeting of the Three Rivers Chapter of the BCCA will be held this Thursday evening May 19, at 7:00pm at the home of Dwane Spurgeon. This is the first meeting that we have had at Dwayne's house. I am personally looking forward to it and I hope to see everyone there, and on their best behavior! Come one, come all this Thursday. Have a meeting and have a brew (or 2). More info contact me HERE! After months of planning and work, Fortezza Coffee Shop owners Sean and Melody Wang have partnered with Chapman's Brewing Founder, Scott Fergusson to open a tap room in downtown Fort Wayne. Please join the members of the Three Rivers Chapter, on Thursday, May 26th for the grand opening of the Fortezza / Chapmans Tap Room, at 819 South Calhoun Street in Fort Wayne. They will open with 10 taps of Chapman's, and with their Indiana small brewer’s permit they can offer growlers fills, pints, kegs, and cold carryout. The monthly meeting of the Three Rivers Chapter of the BCCA will be held this Thursday, March 24th, 7:00pm, at the home of Leroy Art. Please fill free to attend, here you will find friendship with others that share your interest in craft beer and brewery collectibles. If you have any questions, or need help with an appraisal, or directions, contact one of our club officers listed below, or call me at 260-414-4746. We are the Fort Wayne Chapter of the http://www.BCCA.com Brewery Collectibles Club of America. Our club was originally formed back in the early 70s, by a group of local area beer can collectors. Membership now primarily consists of craft beer enthusiasts that collect anything and everything beer related, with a few history nerds and home-brewers mixed in. We conduct a social gathering on the third Thursday of each month at various locations in and around Fort Wayne. Our meetings are very casual with usually 20+ members attending and 20+ beers to taste. Food, pop and water are also available. For the past 40 years we have conducted a craft beer and brewery collectibles show on the Saturday after Thanksgiving. This years event will be held November 12th, 2016, 9am to 3pm, at the Classic Café, 4832 Hillegas Rd. I hope you can attend. To all members and guests! The monthly meeting of the local Three Rivers Chapter of the BCCA, will be held this Thursday January 21, 2016, 7:00pm at the Redwood Inn, 1432 W Main St. Fort Wayne, IN 46808. I would especially like to welcome all new Three Rivers Chapter Members that joined the club at the Turkey Trot Show, to come join us at the Redwood. We are the Fort Wayne Chapter of the Brewery Collectibles Club of America http://www.BCCA.com . Our club was originally formed back in the early 70s, by a group of local area beer can collectors. Membership now primarily consists of craft beer enthusiasts that collect anything and everything beer related, with a few history nerds and home-brewers mixed in. We conduct a social gathering on the third Thursday of each month at various locations in and around Fort Wayne. Everyone is welcome, you do not need to be a member to attend. .